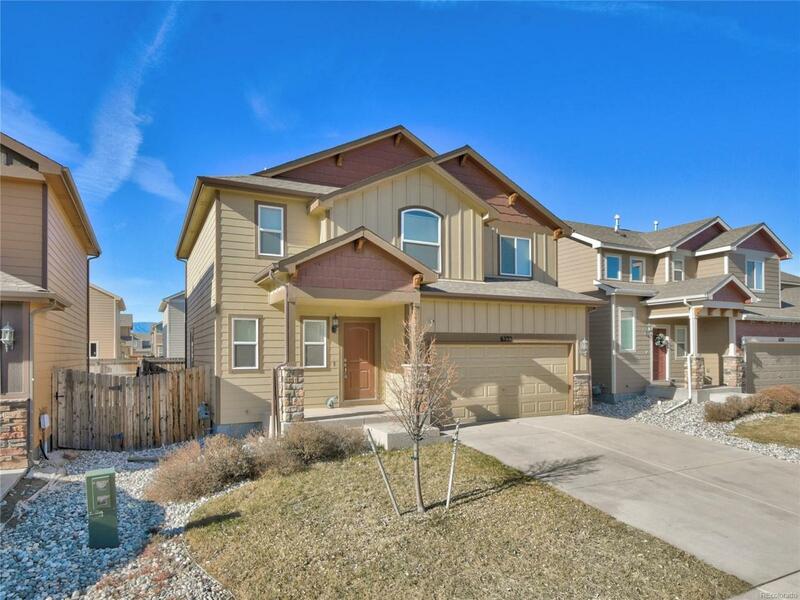 Beautiful Well-maintained 4 bedroom 3 bath & 2 car garage in Lorson Ranch. Main level offers a living room, dining area with wood floor & walk-out, plus island kitchen with stainless steel appliances & pantry, all in a bright & open layout. Upper level offers a great size master bedroom with attached bath & walk-in closet. 3 additional bedrooms and full bath. Great size laundry room. Decent size fenced back yard and AC. Easy drive to Ft Carson, Peterson AFB and Schriever AFB. See this one today! Offered by Mb Metro Real Estate Group.